The Cabrio Hybrid Brolly System delivers TOTAL flexibility in one all-encompassing system. The Hybrid is based on the speed and convenience of a traditional brolly, in this case complete with a lowprofile mechanism which means maximum head space and our 20K H.H. ultra durable, ultra waterproof and ultra breathable fabric ensures maximum comfort and performance. This brolly quickly converts into an all encompassing session shelter with the quick addition of the infill panel or the lightweight mozzi mesh panel. Furthermore, it makes the ideal long-stay shelter with the added space created by the addition of the porch area, complete with infill panel or mozzi panel. Simple, swift and superior. 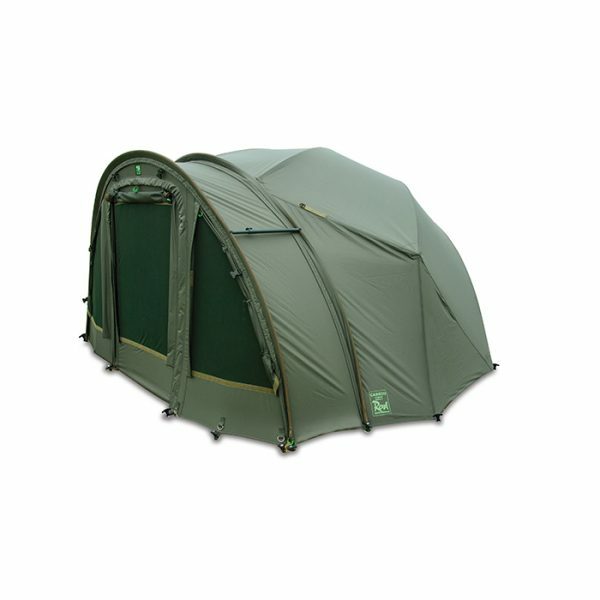 Supplied in 600D carryall with heavy duty clip-in PVC groundsheet & porch extension.